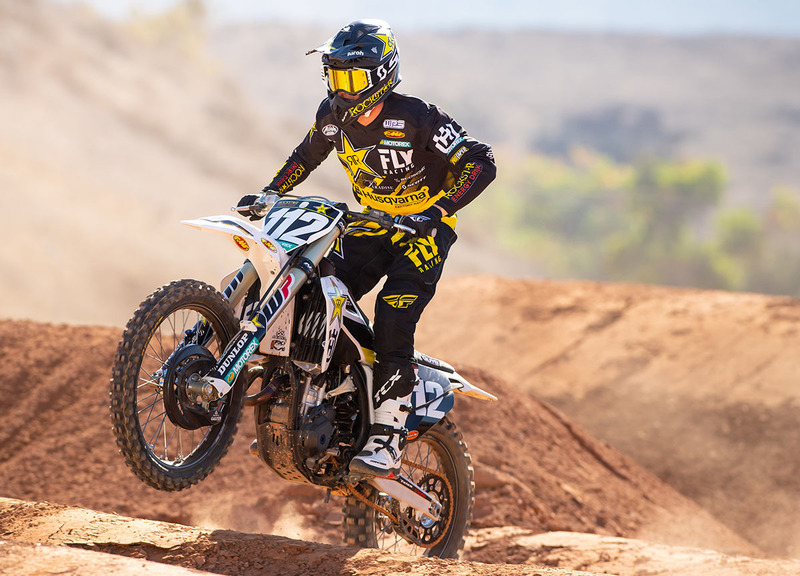 How will the latest Motocross World Championship series transplant, Thomas Covington, do in his first attempt at taking on the professional AMA Supercross and Motocross circuits in 2019. That is always the big question when we get an MX2 or MXGP rider making the jump across the pond to the US, but this time it will be a little different with Covington being an American. Instead of taking the normal career path of jumping from Loretta’s over to the AMA MX Nationals and then on to SX, Thomas packed his bags and headed for the GP’s and we were all left wondering how that career path would work out. Well, we will begin to find out 10 days from now at the 2019 Minneapolis SX when Thomas takes on the 2019 Eastern Regional 250SX Championship under the Rockstar / Husqvarna tent in his SX debut. 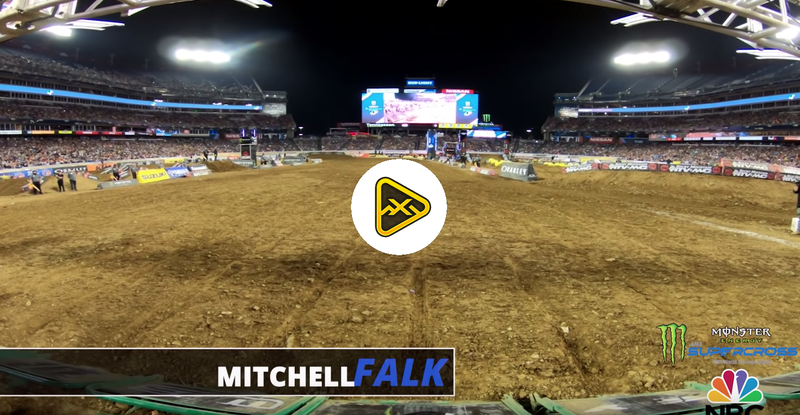 A couple days ago, our friend Geoff Meyer from MXLarge caught up with Thomas to talk about his thoughts heading into his first season of SX, training at the GOAT Farm and a lot more. You can check out Geoff’s talk with his below. We look for the #112 to take his time getting acclimated in his rookie year, but one great ride and that could all change. Thanks for your time Thomas. I know you had trouble leaving Europe, but it must be nice to be back home? Yes, for sure. It is always nice coming home, no matter when. It’s been nice to be around the family and riding with a lot of the guys I grew up with, and a lot of the tracks. I am actually down here in Florida, training at Carmichael farm. Back when I was on 65s and 80s I spent a bit of time down here so it’s nice. 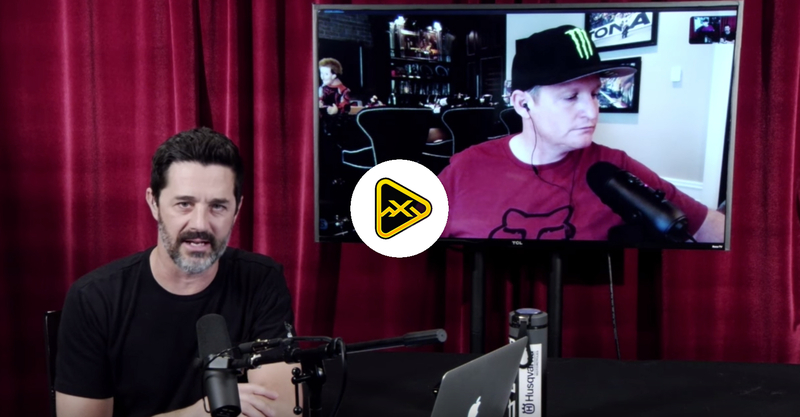 It’s nice to see Ricky [Carmichael] and Jeanie [Carmichael] again. That’s pretty nice. 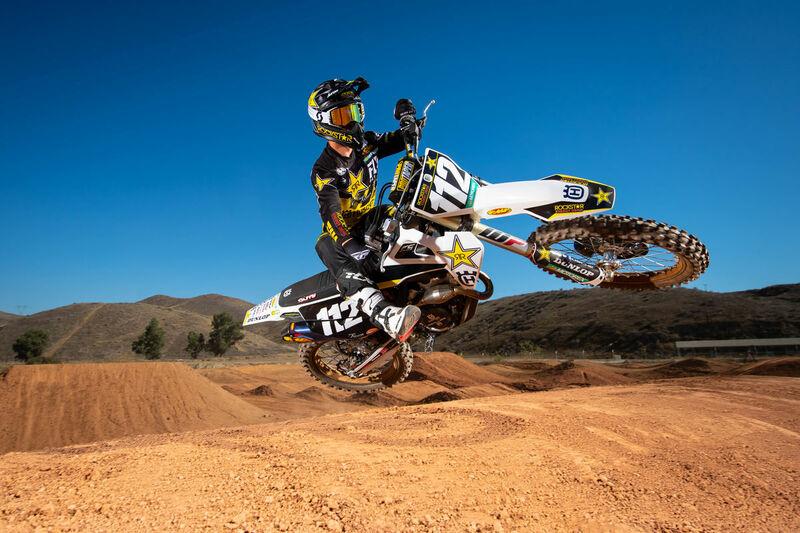 I can imagine, you come from doing the GPs and then you are doing Supercross, and we all know Supercross is tough, but being around people you grew up with, and raced against, and being around Ricky, that must help the transition a lot? Yes, for sure, it makes everything a bit easier, as far as everyday life things. As far as the riding, Supercross is something really new to me, and I didn’t even touch a Supercross track for the last five years in Europe and even before I came to Europe I didn’t race any Supercross. It has taken some time to learn and it isn’t going to happen overnight. These guys have been doing it for years and it’s just a matter of picking it up as quickly as possible and hope I am ready for the first round next weekend. I don’t want to downplay what is possible, but even qualifying for a main event, would that be the first goal? 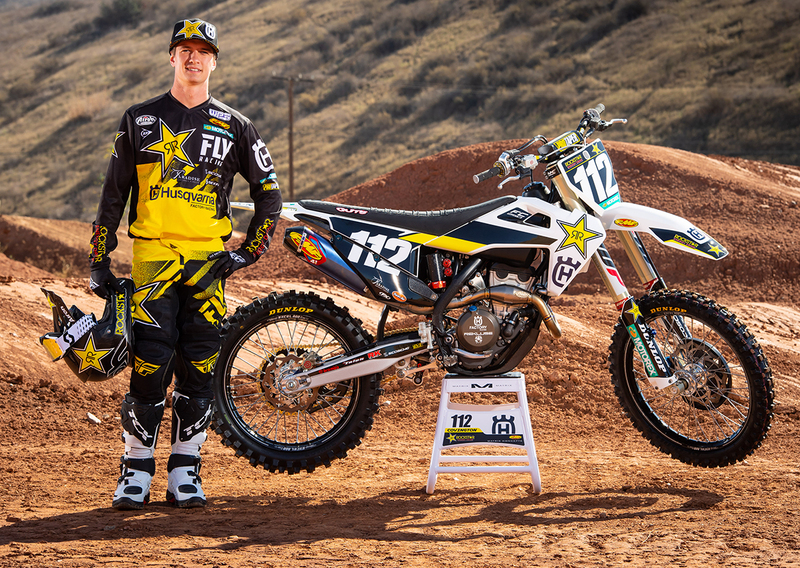 For sure, I don’t have many expectations coming into the Supercross and either does the team. We just want to get through this Supercross season, get some experience under my belt, and hopefully make the mains of course. We won’t know until we get there and then hopefully get through healthy and get to the outdoors. 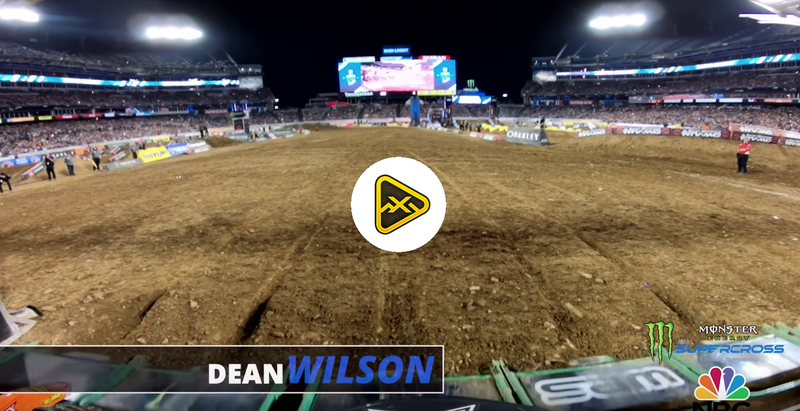 We hear it all the time that most of the Supercross track is learnable, but the whoops is something that is tough to learn. You have been down with Ricky, and he was pretty crazy in the whoops. What did he teach you just hold it wide open and close your eyes? Yes, I am not the wildest rider. Most people who know me watching the GPs, know I am pretty calculated and don’t get out of shape too much on the bike. I do pretty well everywhere on the track, my speed is good everywhere, but like you said, apart from the whoops. When the whoops are really big, and steep I struggle a bit. We will see how they are at the races. The whoops I practice on are big and gnarly, so I hope they are not that big at the races. You never know, but I just lack experience at the races and the only way to get that is to line up and go racing. I gotta admit, I personally am going to miss having an American to cheer for atop the podium in Europe. I can imagine when you came to Europe, you were very young. A totally different World in Europe and you must have been pretty nervous about that. How do the nerves compare now, going into Supercross compared to back when you arrived in Europe as a kid? Yes, I guess it’s pretty similar, maybe a bit more in Supercross, because you are in the stadium, with all the fans. I guess also, because I grew up watching Supercross, since I was like four years old. One thing that is the same, is when I was riding around Lommel, and I was struggling around there. I was really off, and it is the same deal riding Supercross. Like it did in the sand, it’s just going to take a little bit of time. Obviously you don’t have any regrets, I don’t think top sportsman can really have regrets, just move forward and not look back, but with our season starting, do you miss anything from racing in Europe? Well, I miss some aspects. I don’t miss the cold winter days training with frozen hands. I really wish it was possible to do Supercross as well as GPs, but that isn’t possible. At this point it isn’t an option. Maybe in a couple of years I will be back in GPs. Will the goal for the next few months to just stay healthy? I wouldn’t say it’s the goal, I don’t want to focus on that too much. The main goal is to just progress and by the end of the season have some decent results. And any goals for results wise this coming weekend? Not really, I am not one to focus on the results, just go out there and ride the best I can and see what results come out. You mentioned the stadium, the fans and the struggle with the whoops, is it possible to go there and enjoy yourself? I think it will be difficult to enjoy the first round, because of the nerves and everything, but I will try and take it all in and enjoy it as much as I can. What about the actual team, can you compared Euro husky and US husky? I guess because of their connection with Austria, they are similar and work close together. As far as the team, I have more freedom here and I do my own thing. In Europe Jacky and those guys held my hand in everything and I think I needed that in that stage of my career. In America I am a bit more on my own, but if I don’t know what I am doing at this point, there is something wrong. It is really good and I am enjoying working with the team here. With Zach Osborne graduating to the big bike, Husky would love to see Thomas come out swinging. What have you learn the most, or found the most? I think the thing I have had to learn the most is setting up the bike for Supercross. I was always doing a lot of testing for outdoors with Jacky and they used me quite a bit, testing with WP and Husqvarna. I thought I would be really good at setting up the bike, but I really don’t know what I am looking for, because the set-up is so different, with the stiff suspension and stuff like that. I am having to get information from Zach Osborne and those guys. Trying to get it set-up for the whoops, but also get it good through the corners. That is something I really had to learn. I can image its like going from having a bike set-up really well, and then riding a brick or a wild bull, because the Supercross setup is so stiff? Yes, definitely, the first week or so I was like, what is this. The suspension is so stiff and you feel all the bumps and stuff, but after a couple of weeks you get used to it and its normal, and I feel safe now on it. I wouldn’t want to go on a Supercross track with a motocross set-up. It is funny you mentioned that, because I was speaking to Dirk Gruebel the team manager for Herlings and he mentioned how the Team USA riders often have the wrong settings for the MXoN, and of course that is what we are hearing from Redbud this year. I can imagine for those AMA based riders, its hard changing all the way back to a complete motocross setting after six months of the bike being so hard in the suspension? I don’t think they would have complete Supercross set-up, but I would say it is stiffer than the GP guys and they are so used to riding like that in Supercross. I think when they go to Outdoor series, they probably have it a little bit softer, but then they go back to Supercross settings. I think that is one of the reasons the American riders have struggled at the des Nations, because there is so much focus on Supercross now. Last question. What is the thing you have enjoyed most about being back, because obviously the weather and maybe the food is easier for you? Definitely the food. I loved the food in Belgium, but as far as the travelling goes, it was sometimes really hard to find the right food. The food for my diet, it was hard to find and it’s hard to stay with any diet racing the GP, because you are in so many different places. In the US you can pretty much get whatever you need anywhere. It is just convenient, it’s nice.